Real estate investors know that investing can be an excellent way to diversify your portfolio, bring in additional cash flow, and set yourself up with tangible assets that are often considered a positive way to hedge against inflation. What do you know about the market in which you wish to invest? If you don’t know it well, you might pay too much for a property, or you might end up missing out on a fantastic deal. One of the best ways to learn your market is to start studying it. Connect with a real estate agent in your target area and have him or her send you MLS listings so you can get an idea of what people are listing their homes for. If you do your homework ahead of time, you’ll know whether that four-bed, three-bath listing for $300,000 is a deal—or overpriced. Location matters. The last thing you want to do is tie yourself to an investment in an area that doesn’t make sense. Many real estate professionals recommend looking for the “worst house in the best location,” as there is room in the market for improvements that can bring additional value. Location also comes into play if you’re investing in single- or multi-family rentals, as you’ll want to invest in markets where there is a demand for rental properties. Location is also a consideration if you’re going to be managing these properties yourself or are hiring a property management company. There are so many real estate investors who have paved the way for beginners —why not learn from their experiences? There are thousands of books, websites, and podcasts on real estate investing. Brandon Turner of RealEstateinYourTwenties.com offers a great list of 7 Must-Read Books for Real Estate Investors. It’s a great place to start. In addition, consider networking with other real estate investors in your local market who can offer guidance and insight into the particular market. Ask to see their properties and learn more about what makes them successful. Networking with local contractors and real estate professionals can also be helpful. The government offers tax incentives to real estate investors, and understanding these can be key to your success. The depreciation write-off is perhaps the most significant. You can also see deductions for mortgage interest, insurance, and maintenance expenses. Be sure to consult with an accountant to fully understand the tax benefits available to you. When evaluating a rental property, many investors use the one percent rule to determine if they want to look further into the investment. In essence, investors want the gross monthly rent (before expenses) to equal at least one percent of the purchase price. A $300,000 property, for example, would need to bring in $3,000 in rental income to be a good fit under the one percent rule. Some investors take this a step further with the two percent rule. Ultimately, how you evaluate your real estate investments will depend on your particular market, financial situation, and aggressiveness. If you looking at becoming a real estate investor, there are a number of advantages to becoming a licensed real estate agent. The most obvious benefit is that you can save on commissions. There is an added benefit to this: Because you are saving on commissions, you can offer more for properties without having more money come out of your pocket. This can give you an edge over other buyers for hot properties. As a real estate agent, you will have faster access to listings because you can check the MLS. Many of the big sites, such as Zillow, are delayed when it comes to showing what’s for sale. If you are a real estate agent, however, you can view properties faster than other investors. You can also set up showings without having to wait for an agent. If you are interested in making an offer on a property, you can do it yourself right after you see it. 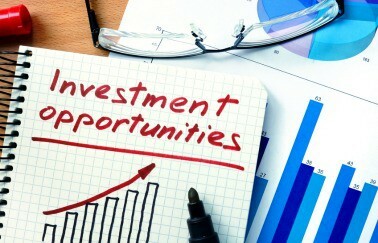 Ready to get started with your career and learn more about real estate investing? Learn the steps it takes to get your real estate license and get started today!